My buddies just love to go out back for their walks, lots to see and smell. The older German Shepherd boy is retired but loves to travel with us and hold down the couch. The black tri Australian Shepherd has both her AKC and ASKA championships (show off) she's also working in obedience and training in agility. 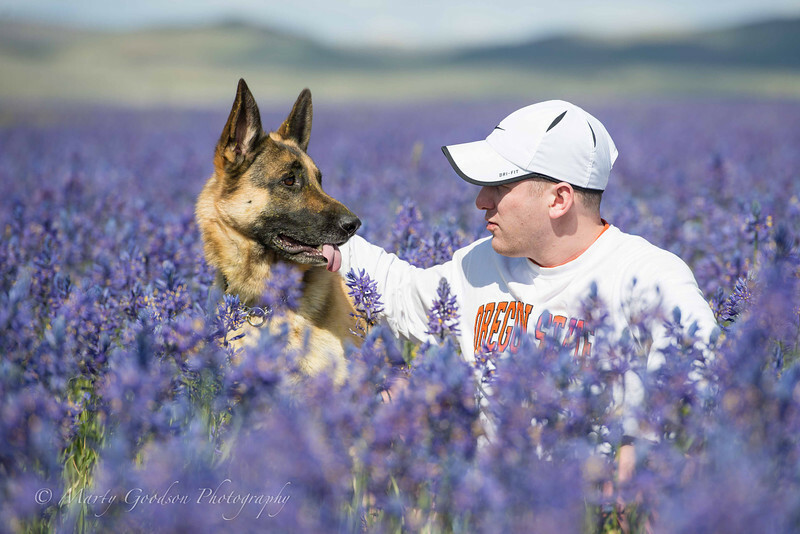 The German Shepherd girl is also training in obedience and agility and is a joy to be with.